You are probably familiar with Social Security Income Disability (SSID), or at least the concept that those aged 65 or older, or those who are blind or disabled, can qualify for disability benefits from the state and/or federal government. But what you may not know is that minor children can also qualify for disability benefits if they suffer from a qualifying disability. Often, these benefits will be provided to the child’s parent or caretaker because the child is unable to care for himself due to age or disabled status. As is the case with adults, a child’s disability eligibility and potential benefit amount is determined by a number of factors. These factors include the child’s medical condition, the child’s income (if any), and the family’s income. Once an application is sent to the Social Security Administration it generally takes up to three to five months for the Administration to review and process the disability request. 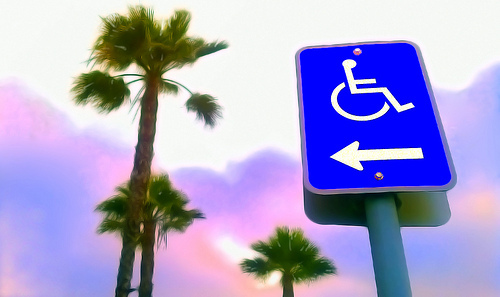 Certain disabilities, however, are eligible for the immediate payment of benefits. What Happens When a Disabled Child Turns Eighteen Years Old? All recipients of disability benefits must undergo an occasional Continuing Disability Review to ensure that they still qualify for the benefits they are receiving. This review must be conducted at least once every three years. However, at age 18, every minor receiving disability benefits must have a Continuing Disability Review conducted to determine whether they are entitled to ongoing benefits as an adult. As you might imagine, just because someone qualifies for disability benefits as a minor does not necessarily mean that they will receive those same benefits as an adult. This is because the Social Security Administration has a one set of criteria to determine benefit eligibility for adults, and another set of criteria for minors. For example, a diagnosis of ADHD (Attention Deficit Hyperactive Disorder) frequently qualifies a minor for disability benefits. However, adults with an ADHD diagnosis rarely qualify for disability benefits unless they have an additional, more serious disability. This means that, upon turning 18, it is possible someone might lose the disability benefits they have been accustomed to receiving. Do You Have a Special-Needs Child? Do you have a child with special needs that might be eligible disability benefits? Do you have a child who is currently receiving disability benefits but will be turning 18 soon? If the answer to either question is yes, then give me a call. I have been practicing law for thirty-six years and have come to know the ins and outs of the disability process. The application process for disability benefits can be an intimidating and frightening task, often taking close to a year to complete. I can help you with this difficult and complicated process.